Disco began in New York and Philadelphia in the early 1970s, evolving out of the Motown & Philadelphia International sounds, and incorporating many of the ideals from the hippies and psychedelia. 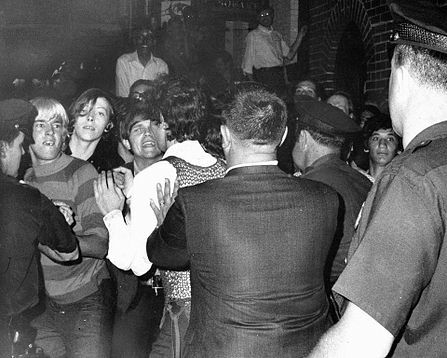 In its early form in the clubs of New York, it sprang out of the 1969 Stonewall riots and became a unifying movement for the city’s marginalised black, latino and gay communities; dance music as a politicised sanctuary of inclusiveness. Clubs such as David Mancuso’s The Loft, and Nicky Siano’s The Gallery were places of love and togetherness, and tunes such as MFSB’s ‘Love is the Message’ were disco’s first anthems. Throughout the mid 70s it increased in popularity. For some time the sound was dominated by the lush orchestral and latino influenced sounds of the Salsoul label and Philadelphia International labels: records like Harold Melvin’s ‘The love I lost’ and Van McCoy’s ‘The Hustle’; Thelma Houston’s version of ‘Don’t leave me this way’ and Barry White’s ‘Can’t get enough of your love’. Then in 1977 Giorgio Moroder and Donna Summer released ‘I feel love’. Deliberately futuristic and entirely synthesised, it paved the way for the later house music and changed the way dance music was produced forever, also making Moroder one of the world’s most in-demand producers. It sounds utterly fantastic even now. Also in 1977 the film ‘Saturday Night Fever’ was released. Based on a short story by journalist Nic Cohn, the film was a deliberate attempt to make disco palatable to a white audience and it’s soundtrack, largely written and produced by the Bee Gees (three conspicuously caucasian straight men) is still one of the best-selling albums of all time. With this new popularity came larger, more glamorous new venues. 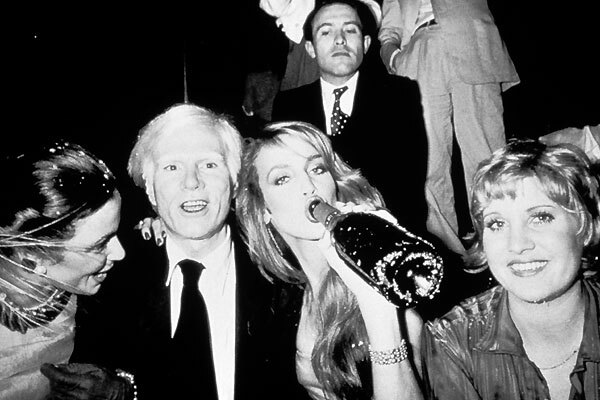 Arguably the most famous, Studio 54, quickly established itself as the antithesis of disco’s early one-love ideals – glitzy and very exclusive. Chic’s Nile Rodgers and Bernard Edwards were famously denied entry even though their songs were continually filling the floor. It became known as much for its celebrity crowd and their behaviour as the music, but its legend has endured. This mainstream success inevitably led to over saturation and record company cash-ins, with everybody from Barry Manilow, Dolly Parton and Ethel Merman making disco tunes. Now the message was less about love and more about the love of money – a familiar corporate cash-grab. This culminated in the backlash which led to the Disco Demolition – thousands of white mid-American rock fans destroying disco records in Chicago’s Comiskey Park in 1979. Within a few months it had virtually disappeared from US radio. However rather than die altogether, in the early 80s disco just went underground again in New Jersey, Detroit and ironically, Chicago, as the club scene transformed itself into House. Influenced both by the emerging electronic music coming from the European New Wave sound, and newly affordable technology, DJ’s such as Frankie Knuckles, Ron Hardy and Larry Levan championed a new electronic vibe, and dance music culture recovered its original ideals of peace, love and harmony for all (possibly aided somewhat by the mass availability of Ecstasy). Disco’s late incarnations, 80s funk and boogie, enthusiastically adopted the electronic infusion; acts like Shalamar, D-Train, Sharon Redd and many more made records that stood shoulder to shoulder with the the best that 70s disco had to offer. As early as 2002, traces of the classic disco sound began to reappear in popular music, as well as a growing number of re-edits of original tunes. Artists such as Daft Punk, The Scissor Sisters and Calvin Harris openly acknowledged their disco influences, and Nile Rodgers’ re-formed Chic began what appears to be a perpetual world tour, playing to huge audiences. More recently house music powerhouse Defected Records launched Glitterbox in 2014. This is a sub-brand built on a blend of classic house with a distinctly disco slant, and has proudly put veteran DJs such as John Morales and François K in front of huge audiences, as well as the likes of more recent converts like Dimitri From Paris. In South London, the collective Horse Meat Disco have a long running residency in Vauxhall, and the NY Downlow regularly hosts a huge stage at Glastonbury. Both Glitterbox and Horse Meat Disco frequently release compilations packed with classic tunes that may not have set the world alight first time round, but are no less amazing than those that did, and show a genuine love for the genre. 2017 marked the 40th anniversary of ‘I Feel Love’, and this was marked with a packed party in New York where Giorgio Moroder played a set of his hits. The return of iconic fashion brand Fiorucci to London was launched with an exclusive party conceived by performance art company Theo Adams that was part Studio 54, part Blitz club. What’s encouraging about the modern incarnations is a whole-hearted inclusion of the LBTQ aspect of early disco that the more corporate offerings tried to eliminate towards the end of the 70s. Back to its roots so to speak. Lost In Disco is at Paradiso Art Hotel Ibiza on May 12th, Bush Hall, London W12 on October 12th and Hotel Pelirocco, Brighton on May 18th. For more detail, we recommend two books: “Last Night a DJ Saved My Life” by Bill Brewster and Frank Broughton, and “Love Saves the Day: A History of American Dance Music Culture, 1970–1979” by Tim Lawrence.